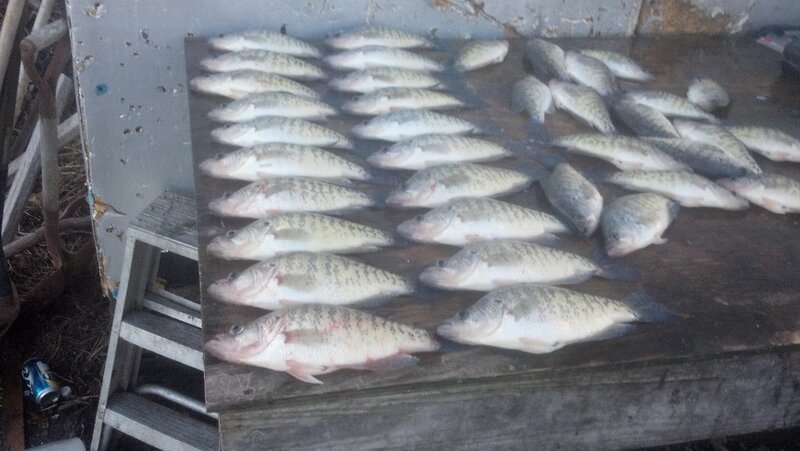 by theya me and nick from crappie predator had a great day. the lake is starting to clear up. try all over for fish . deep and shallow are both ok . lots of new water , they will settle down soon. Bite was good today. Caught a lot of fish on stake beds in 8-12 fow and on brush in 18-22 fow. All on jigs black/chart worked best. Had 20 overs and 17 unders. Could have had all our overs but threw a lot of 9" fish back. Well its December but the water temp is about 45 give or take a degree. The big fish are really doing well jigs in 12 to 16 ft have been working for me. 2 in or bigger jigs are the best. The lodge is open and so are we if anyone is ready to catch big winter crappies call or e mail one of us. We are running a winter special. 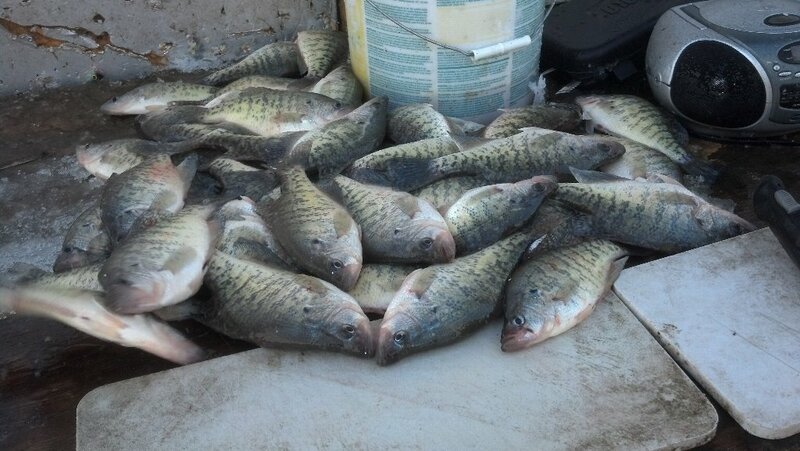 200$ will get over night lodging and 6 hour fishing trip or limit of crappie which ever is first. Fishing is hot, hot, hot right now! You can catch fish shallow, deep, and anywhere in between. Lots of big fish being caught too. Well its windy but thecrappie bite is excellent. Jigs or jigs are workin best look for the shad and fish below them. We are catching numerous 12 inch plus fish. Gotta love the fall. The crappie are picking up. Jigs and minnows in brush worked very well today. I fished with my 3 year old son and dad and had 20 keepers in an hour and a half. Bass at Egypt are red hot. Shallow with swim baits and jigs are working well. The crappie are on at rend. Its time.